Being hot favorite for gold in men's and women's Olympic slalom has made two Alpine skiers nauseous at the Yongpyong Alpine Center. Henrik Kristoffersen led on Thursday and was minutes away from the second run few doubted would make him Olympic champion. Dang! @H_Kristoffersen vomits before every race!!! That is crazy! It’s not always a bad sign for the 23-year-old Norwegian who has 15 slalom wins on the World Cup circuit. Kristoffersen left fans feeling uneasy by skiing off course midway down his medal run. Mikaela Shiffrin knows the feeling. 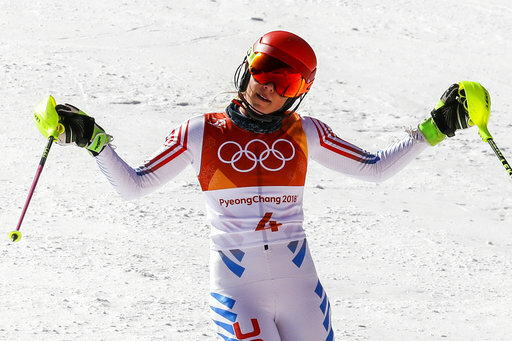 She was "puking before the first run" last Friday due to anxiety before a slalom she was overwhelmingly expected to win. She then skied too cautiously, was fourth-fastest, and later also finished out of the medals. Still, both Kristoffersen and Shiffrin have won medals at each of their first two Winter Games, and are a healthy bet to win more. Kristoffersen suggested he has “probably two or three more” Olympics in him.